Automatically let families know you are thinking of them after the service is over. 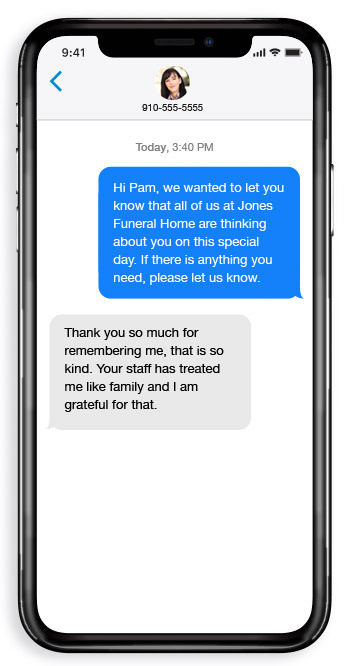 Aftercare-By-Text automatically sends your families a series of caring text messages on meaningful days during the first year following their loss. You just enroll the family (in 30 seconds) and the program does the rest. If a family responds with a need you can text back and forth without giving out your personal cell phone number. 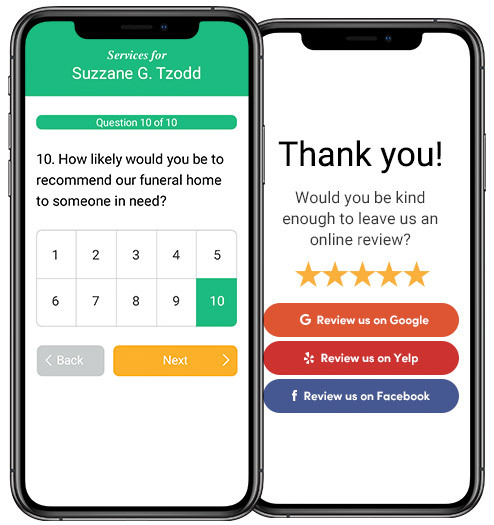 Automatically ask families to fill out a survey about their experience with your funeral home. When they are finished, they are gently asked if they'll leave an online review. You have hundreds of happy families. Aftercare-By-Text makes it easy for them to share how much you've helped their family. Sign up online in less than 5 minutes. Your dedicated account manager will set up your messages and schedule and show you how to enroll a family. You can begin enrolling families immediately. The cost is $100 per month and you can enroll as many families as you want. Yes, the messages are customized for your funeral home and personalized for each family. How many text messages will the family get? You decide what messages get sent and the schedule. This can be changed anytime. Do I have to sign every family up? No, you enroll only the families that you want to receive the text messages. Does this help with Online Reviews? Absolutely! 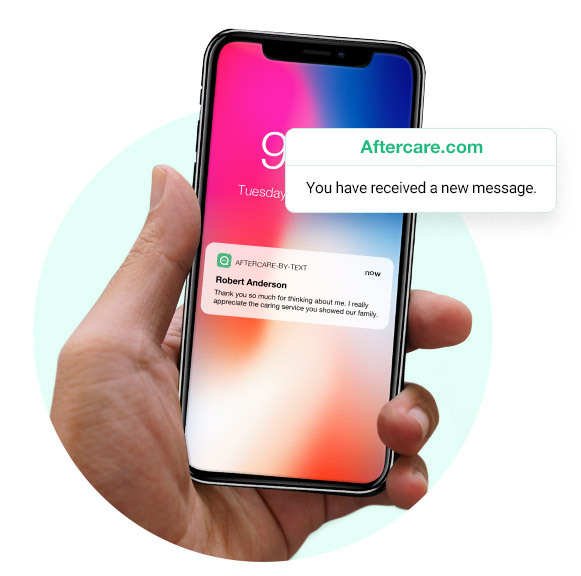 One of the best things about Aftercare-By-Text is your message campaign can include a link to fill out a survey and/or a link to leave a review online. It's a very effective strategy to get more online reviews. No, Aftercare-By-Text is month by month. You can cancel anytime.